"The Kapoors are quite a family. There is no one like them - four generations of actors in the same family. Actually, five! Because Prithviraj's father, Bashesharnath, also acted in two movies - 'Awara' and 'Paisa'." Get ready for more such information about the family that has remained in the consciousness of anyone even remotely interested in Hindi cinema. Madhu Jain's book 'The Kapoors: The First Family of Indian Cinema' attempts to deliver biographical details about the country's most illustrious film family. Adds Jain, "It is fascinating to know that a Hindu-Pathan, Prithviraj Kapoor, who came from Peshawar, would later father a family like no other in the world." The task has taken the Delhi-based writer five years. "It's not something you can google and accomplish. The biography deals with aspects not seen on screen or known through mainline publications, but it is not salacious." For someone, who in the past handled the art and cinema sections of India Today magazine, Jain had already known the family. She read up on them but also met people related to the Kapoors - the Bachchans, Ramesh Sippy and even actor Premnath's family. Says Jain, "Some of the most insightful information came from screenwriters, light men, photographers and junior artistes who stood on the side but were more observant. In fact, a gentleman called Mamaji at RK Studios proved to be a goldmine of information." Are we going to be privy to information earlier unknown? Jain answers, "I hope so. There will be a lot on the childhood of the Kapoors and it was possible because Shashi, Shammi, Randhir, Rishi and Neetu were very co-operative." Ask her if it was easier meeting Sanjana and Karisma because they are now married and settled in Delhi and she laughs, "Strangely, I met Sanjana in Mumbai. 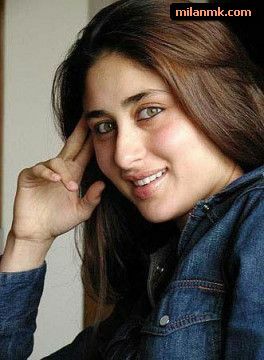 However, I was unable to meet Kareena and Karisma Kapoor." Reason. "Well, I tried to get in touch with them a couple of times but there was no response. After that, I gave up, although there is a chapter on them." So, any regrets there? "I respect their work and it would have been really wonderful to have met them but then they haven't really lived their lives." She could have certainly met Babita; she's not as busy as her daughters. "Well, I was told she doesn't meet the press." Jain goes out of her way to explain that it is quite a myth that women were not allowed to act after marriage in the Kapoor khandaan. "See, Jennifer and Geeta Bali acted after their marriage to Shashi and Shammi. Neetu didn't want to act after marriage and Babita had in fact peaked when she got married. She was a huge star while Randhir wasn't."